Les Chevaliers du Ciel (original title) is a French action movie about two air force pilots assigned to locate a stolen Mirage 2000-5. Laurent Brett is a motion graphic designer from Paris, France who has a huge passion for creating film titles. His knowledge of French title design of the past 50 years is impressive. Brett studied two years at a school for communication, which sparked his interest in video editing. He gradually rolled into the motion design business in the 1990's, working as a post-production supervisor, editor and motion graphic designer on music videos and commercials. For several years now, Brett’s primary focus is designing Main Titles for film and TV - ranging from simple "font work" to elaborate creative title sequences. He works a lot and usually on several projects at the same time. 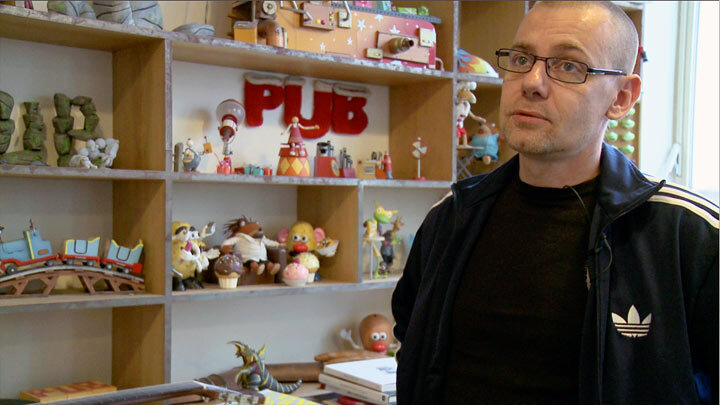 Laurent Brett had an office at the Sabotage studios in Paris, France, where we visited him in 2010 for a video interview. September 2013, Laurent will leave Sabotage to found his own studio Brett & Compagnie.